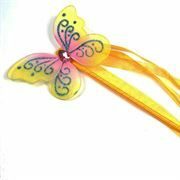 Fairygoodies Fairy Wands are designed to match our fairy wings. 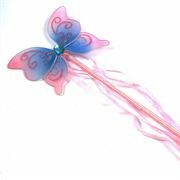 Each wand is made using oodles of glitter and has ribbons which flutter beautifully when the fairy wand is waved. 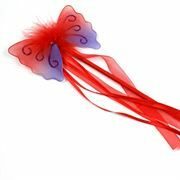 Handles are wrapped in a colour coordinated ribbon and the top of the wand is a butterfly shape with central details including marabou, coloured gems and feathers. 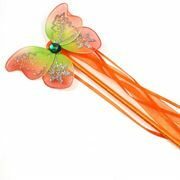 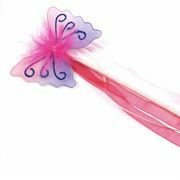 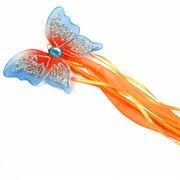 All our fairy wands are CE approved for ages 3+ and measure approximately 39cm long.